We'll suggest ways to reduce cost, shorten production cycles, minimize seams, simplify and speed assembly, strengthen walls and corners, improve rigidity, enhance textures, add thermal value, locate graphic placement, and simply help improve the product's design or function. Our engineering and tooling services are offered without any obligation of production. THAT'S RIGHT... whether you choose to use our molding services or not, we're happy to help bring your product life. One of the hallmarks of the rotation molding process is the relatively low cost of tooling for prototyping and ultimately production runs. Sterling is a leader in tool design, mold making and mold fabrication services ensuring customers the most economically efficient path to market. 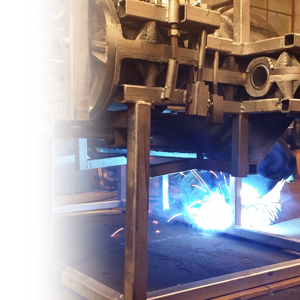 Once our team has helped to optimize your design for the rotomold process, we'll manufacture your tooling and either ship to your molder and we'll put it into production. Need a Mold? Get Started! 24/7/365 nonstop production. Our "arms" are in constant motion molding parts all day, every day. Nobody does it better. It's about Service with a capital S and regular customer communications. 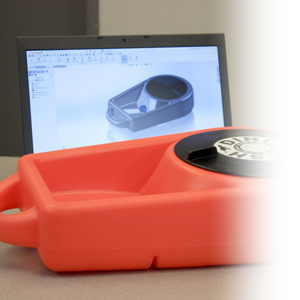 We have the capacity and the flexibility to mold your products or parts to meet your schedule. With more than 30 molding arms constantly in process we can manufacturer quickly, or build inventory as required. We deliver quality products and are committed to longterm sustainability programs in our products, processes and materials. Ready to Produce Parts? Get Started! To complete the OneSource offering, Sterling provides competitive turnkey services for assembling and warehousing products, and cost effective delivery to your customers. Rotationally molded products are typically large volume, light weight items, and can be expensive to store and ship. Sterling's 250,000 sq ft of production and warehouse space is designed to support customer's drop-ship business. Why ship the product twice when we can deliver it for you. Need to Store Your Product? Get Started!